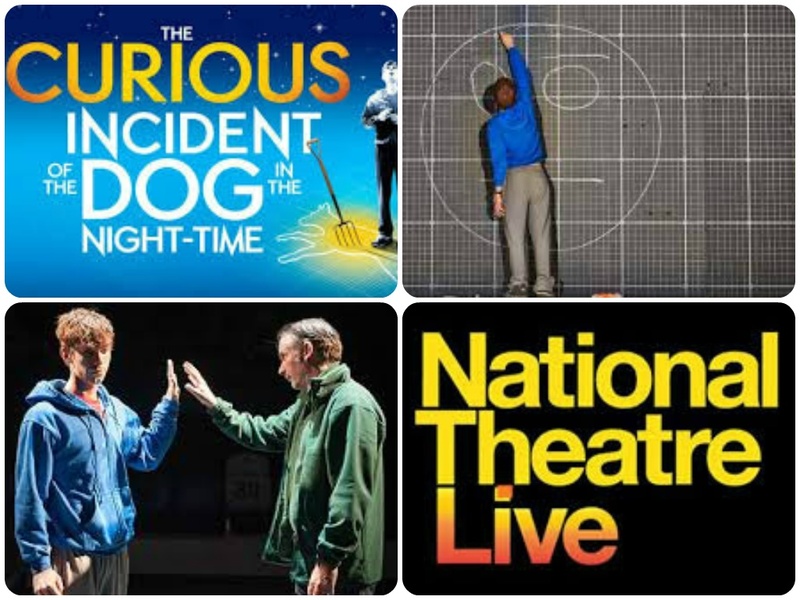 Recently I saw the stage adaptation of your story The Curious Incident of the Dog in the Night-Time as broadcast at my local cinema from London’s National Theatre. The program NT Live is the magic that allows me to be a London theatregoer without leaving my neighborhood. It is one of my most favorite things. I hear your play will be coming to the Barrymore Theatre on Broadway in New York this autumn. Congratulations! This, combined with the astonishing seven Olivier awards, including Best Play, is quite an achievement, and richly deserved. I personally was very moved by the play. I decided to write you a letter about it. In your story you say I see everything. Meaning, you are unable to filter out the multitude of stimuli and facts and figures that present themselves from moment to moment. As a result, your thinking and your senses quickly get crowded. I like how you accuse most people of only ever glancing lazily around at life. In reflecting on your story, I thought I would try to see things like you do. On the day I saw Curious Incident I was thirty-seven years, seven months, and fourteen days old. Standing there on the corner, I did some googling on my phone. On the website there is a ® after the zero in 360. That is something called Overkill. Another example of overkill is the staggering number of banks already around the square. On Thursday I counted nine of them. I reckoned this likely meant we’d already made banking history. Moreover, my town of Brookline, Massachusetts was settled in 1638 and incorporated in 1705. Capital One was incorporated in 1994. 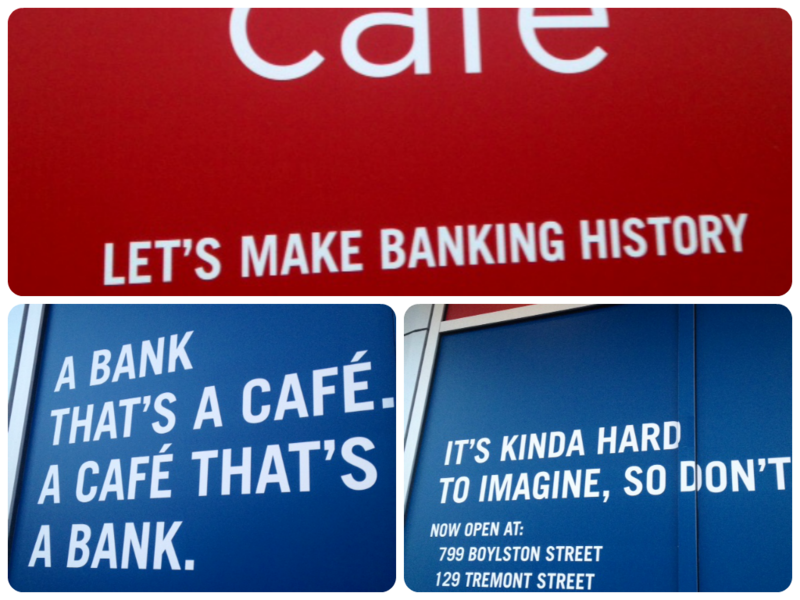 I couldn’t understand what Capital One could possibly contribute to our history. And lastly, I couldn’t understand why any person or corporation would ever issue my imagination an order. Surely that meant they don’t understand imaginations at all. Then I turned away, took a deep breath, and continued with my errand. There were four American flags in the intersection for Memorial Day weekend. The lights in the signs for these businesses opposite the theater were partially burned out: Panera Bread and Peet’s Coffee & Tea. To get to the theater I used a pedestrian crosswalk with twenty-five white stripes. The slice of the day on sale at the Upper Crust pizzeria next door was mushroom, green pepper, and feta, for $4.01 including tax. White lights on the theater marquee were blinking rhythmically, which made it appear they were moving in a circle. I tried to count the bulbs, but I got very queasy and a lot of strange looks from passersby. I suspect the total is in the hundreds, but not thousands. I arrived at 6:56pm and my ticket cost $20 USD. It was on slippery white paper with a turquoise stripe. You would like “Moviehouse 1” on the ground floor of the Coolidge Corner Theatre: there are 440 crimson red chairs and opulent curtains, also red. There are gold accents, too, which I hope you wouldn’t consider brown, since I know you avoid things that color. The man on my right had a beard and his arm was in a sling. The man on my left was balancing a paper plate with a pizza slice on his knee. I went alone. I am glad you have discovered that being alone in small places—like the airing cupboard at your house, or the luggage compartment on the train—makes you feel safe and calm. Me, I sometimes like being alone but with other people in big places like the theater, the library, downtown, or Central America. Now, about the play. It was difficult to imagine the successful staging of a story whose whole point was the explication of the world from the point of view of someone with such unique sensibilities and social challenges. For the theater deals in imagination and the unexpected. Neither of those, by your own admission, come easily to you. The brilliant mechanism for this, of course, is the stage itself. A sheet of electrified graph-paper blankets the ground in stolid precision, rooting the action in your favorite things—mathematics, machines, computers—while at the same time leveraging these things to activate and delight the imagination of the audience. The use of blinking, dotting, and linear lights across the gridded stage enlivened lovely scenes with minimal props, including a tour of your neighborhood, a reverie in the stars, a trip down an escalator, navigating a tube ride, and standing on subway grating in London. I considered whether to say this since I know you don’t like them, but it is a perfect metaphor. As you taught me, the word metaphor comes from Greek words meaning to carry something from one place to another. The staging of Curious Incident carries the audience simultaneously through the action of the story and into your unique corner on the spectrum of human experience. Quite a feat. In fact, I am rather thrilled to think how many more people will get to see your play when it comes to New York. It’s a bit more than a play, isn’t it? I mean, it should be, for many. It’s a highly engaging insight into cognitive difference. People are confusing, as you say. We’re also often confused by difference. When it comes to the unfamiliar, there is a temptation to tick boxes and slot others into categories so we can limit effort and continue glancing lazily around. I’ve read that some members in some communities—including the Asperger’s one—are reluctant to claim you for fear you will be held up as a representative for them. They assert their individuality and difference, and they don’t want others using Christopher Boone as a shorthand for who they are. Fair enough. We would all want that. If we are moved we might seek out others’ stories, or try to walk in your shoes. It must be acknowledged that my trying to do so will only ever yield the flimsiest approximation: I could never truly understand what it feels like to be you. But in trying I can stretch my understanding and see new things. In trying I am mindful of difference, which I think is the Holy Grail. During the play I ate 32 cherry-flavored Twizzlers Bites, which are red licorice. This translates to roughly 272 calories, plus the huge popcorn that I ate at the interval. This meant it was my version of a Disastrous Day, dietarily speaking. I admit that Poor Meal Planning and Sugar Addiction are amongst my own Behavior Problems. I left the theater at 9:52pm and walked home 1.29 miles in 23 minutes. The air smelled of mulch, the new spring leaves rustled in the breeze in the trees. I looked up at the sky as I walked, thinking about your dream of being an astronaut and my impatience with some of my dreams that have not yet come true. I looked at the stars and the moon and remembered your assertion that by comparison, our lives—and indeed our problems—are negligible. And it helped. Wishing so many Super Good Days and all the best Projects and Plans to Mark Haddon, who created Christopher and wrote the book that inspired the play. Simon Stephens wrote the hugely successful stage adaptation. A fantastic Cast & Crew brought it to life. Congrats to all. And all the very best wishes to Alex Sharp (@alexandersharp), a recent Julliard School grad who has taken on the role of Christopher on Broadway. 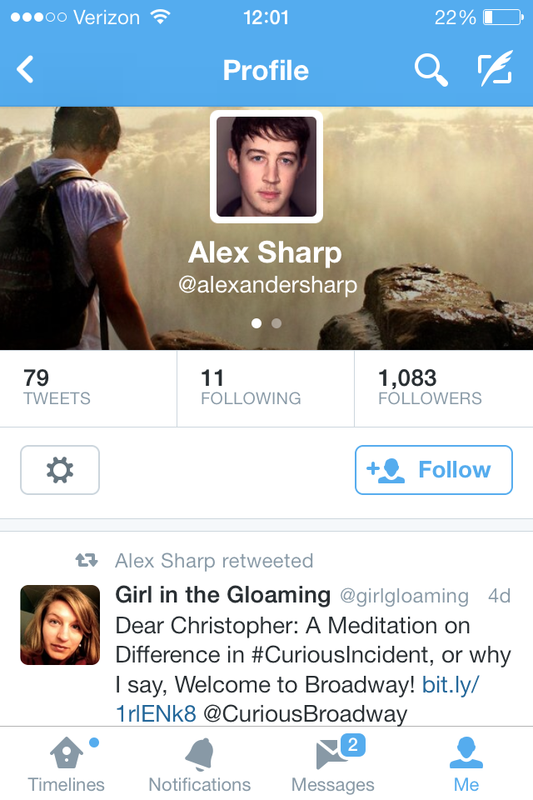 Alex was kind enough to read and retweet this piece. CONGRATS & BREAK A LEG, ALEX! I plan to get there. And heaps more warm across-the-pond wishes to Abram Rooney (@abramrooney), who recently had his West End debut as the alternate Christopher Boone in the reopened production in London. Abram also retweeted this piece on the day he took the stage, 5 July 2014. MANY THANKS, ABRAM! The NT Live website makes it easy to find a venue with an upcoming screening of the play. A letter to Christopher! So nice! Many thanks for reading! Much appreciated. I am so glad you let me know about this letter you wrote to Christopher. Your way of describing the things you saw and did the night you’ve watched the play is kind of bringing me back to the days I’ve read the novel. The review is so well written. Yes, we are very lucky, getting the chance to see such great productions. I’ve noticed you wrote other NTLive reviews which I’m going to read next. I was able to see Coriolanus, King Lear and 50 Years on Stage this year. The last one you can even get on DVD. In about two weeks there will be the broadcast of “A Small Family Business”, which I await eagerly. You can’t imagine how I envy you about the chance to see this production on Broadway. We have some great Musicals here in Germany, but our theatre culture is ages behind. Well, that’s not quite right, we are more classic here, I think. How kind of you to take the time to write this. I was (re)reading the book when I wrote it, so I had a fresh grounding on which to compare and contrast the play. It was surprising to me just how much dialogue they lifted word for word. There’s so much that can go wrong in adaptations–so much from the original work that can be lost. This production got it very right. I saw A Small Family Business on the day it was recorded and I’m working up an essay on it and Ayckbourn now. I will be very curious to get your thoughts once it screens in Germany. Broadway is four hours south of where I live currently, and I don’t get there enough . . . but indeed I am grateful for the proximity. Still, my greatest love is the London stage. I lived in west London for four years and I never, ever got used to having such a theatrical wonderland on my doorstep. They were very happy years for me. So glad to meet you. I look forward to reading more! What a great idea, to write a letter to Christopher. It was very interesting to read, and I really like the way you structured it by making parallels between what Christopher mentions in the book and what you saw the night you went to the theatre. So clever! It made for a very interesting review. Thanks for reading, Sammi! Once I got the idea I enjoyed the exercise a lot. It deepened my experience of the book and play just a little bit more. Keep writing! This is really wonderful, Lynne. Really wonderful. I’m sure that most of us coming out of the play would like to do what you did…I suspect we all felt embarrassed to hear what Christopher described seeing out of the train window, because it does not seem “special”, and he obviously didn’t think so, but it just made us aware that we do not use the faculties we have and we are a pale version of the beings we could and should be. We sleepwalk through our lives, accepting mediocrity and inertia. We feel the need to WAKE UP but as soon as we leave the theatre, or finish the book, we revert to our near-dormant state. Having said that, the attentiveness and awareness you describe in your review sound incredibly tiring. Maybe with repetition and habit, it would become second nature. Did you think of trying to keep it up? Thanks for commenting. Your perspective is quite interesting, and I admire your obvious admiration for Christopher’s way of seeing things. While I do agree that a lack of mindfulness or onslaught of distractions is threatening our awareness, I don’t see Christopher’s sensory sensitivity and attention to detail as a lasting means of finding one’s way back into the present moment. You’re right: it seems tiring. It also seems overwhelming, and a distraction—so expertly demonstrated on stage—all its own. I think a number of perspectives could be brought to bear: someone else might actually accuse Christopher of missing out a bit on life, noting his obliviousness to social cues and relationships. The key is being able to choose or intuit where to put one’s attention and crucially, what to filter out. Unless one can switch such hypervigilance off, it seems likely to disrupt functioning at some stage. Christopher can’t switch it off, not with any ease. I think that’s a key truth to internalize when cultivating empathy for those with similar challenges. It’s also one reason I stated that my doing this exercise could only ever be a flimsy approximation of another’s cognitive reality. Still, it taught me something to try. All that said, I’m also troubled at the notion of our being “dormant” too often and for too long. I have my own customs for breaking out of the sleepwalker’s state that you describe. Taking a walk in an old or new place with my camera is one. Writing is another! The play made me cry, and so did your letter. I’m so glad I read this.